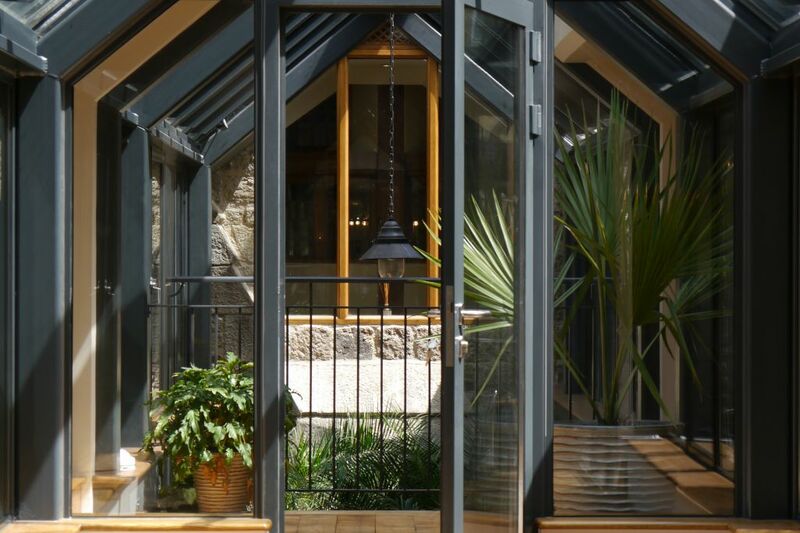 Highly sustainable bespoke residential design in a heritage setting. 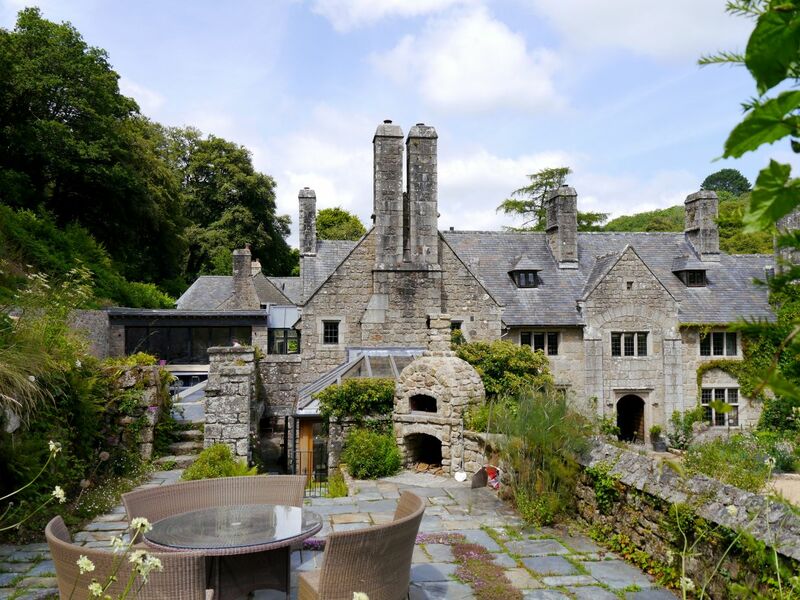 Holystreet Manor is a Grade II listed property, located in the Teign Valley near to Changford, within the Dartmoor National Park. 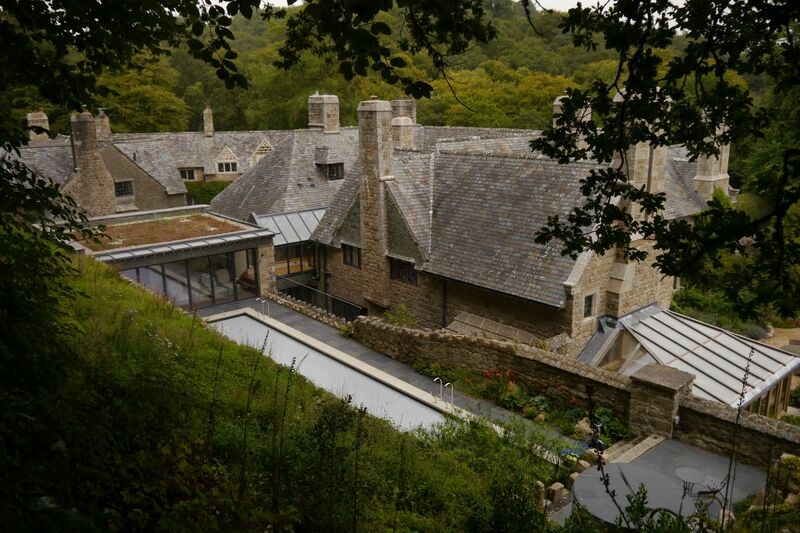 The project entailed a complete review of the estate, to bring a more coherent use to each of the buildings and how they interact with each other and the surrounding landscape. 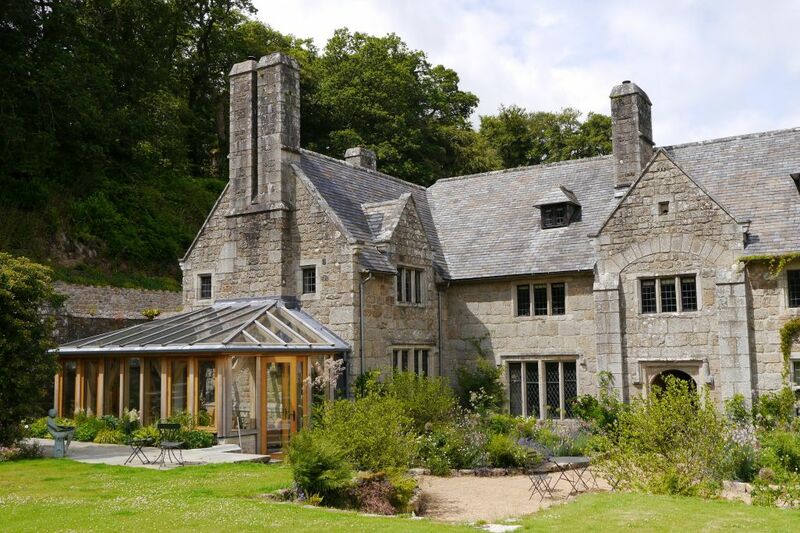 Set in a stunning location in the Teign Valley, Holystreet Manor is one of several important buildings within a wide estate and grounds. All have individual historic importance, dating back to the 16C. Any proposed changes needed careful consideration in relation to their heritage and character area they are set in. Our brief was to help rationalise the internal layout of the building – which has seen multiple generations of change – as well as make several additions, in interesting and exciting ways to really help capture the opportunities a site like this affords. 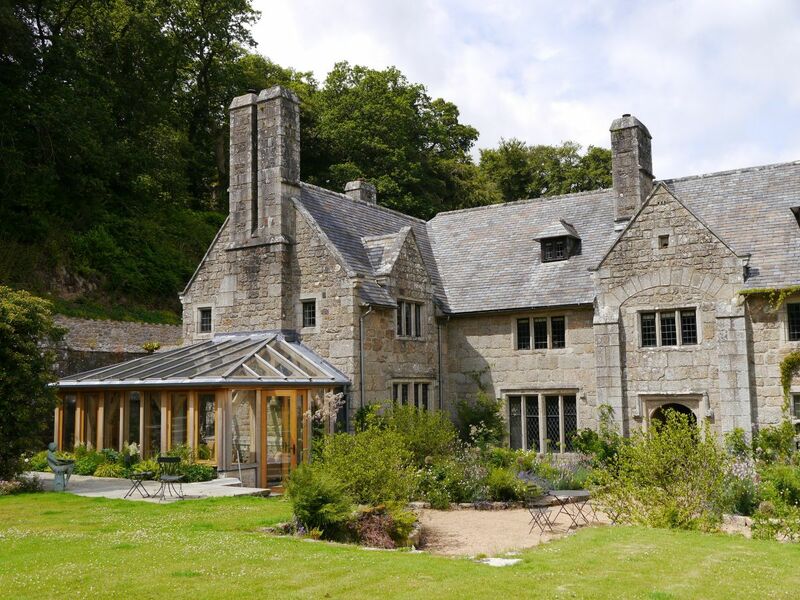 We were responsible for the planning strategy, conservation advice and architectural design, from conception to completion. Early understanding of the justifications that would be required to achieve such a major overhaul of a listed building and its grounds like this were very important. 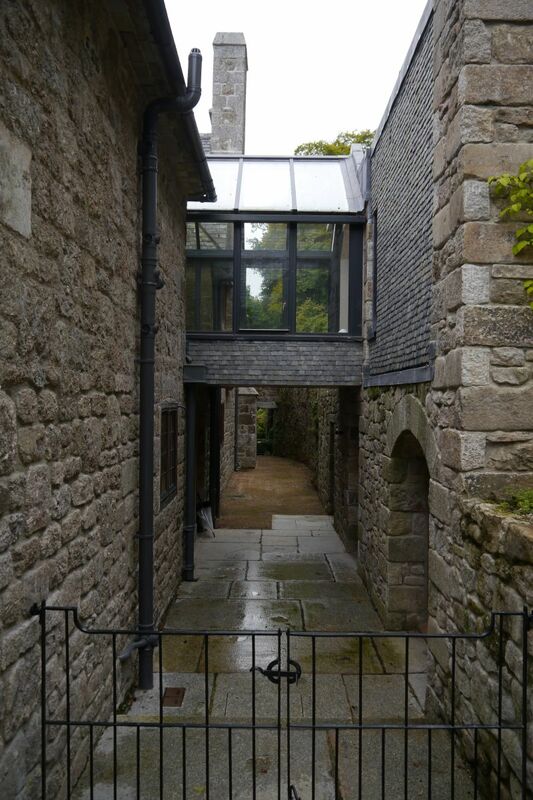 Equally early liaison with the local council and parish helped steer this project through the statutory process and deliver the client’s brief. This also included permission for the addition of a new lake in the grounds. Our internal redesign focused on linking the principal rooms together more efficiently. Giving the main stair more presence provided a lighter space and created views and vistas across areas that were previously long corridors. 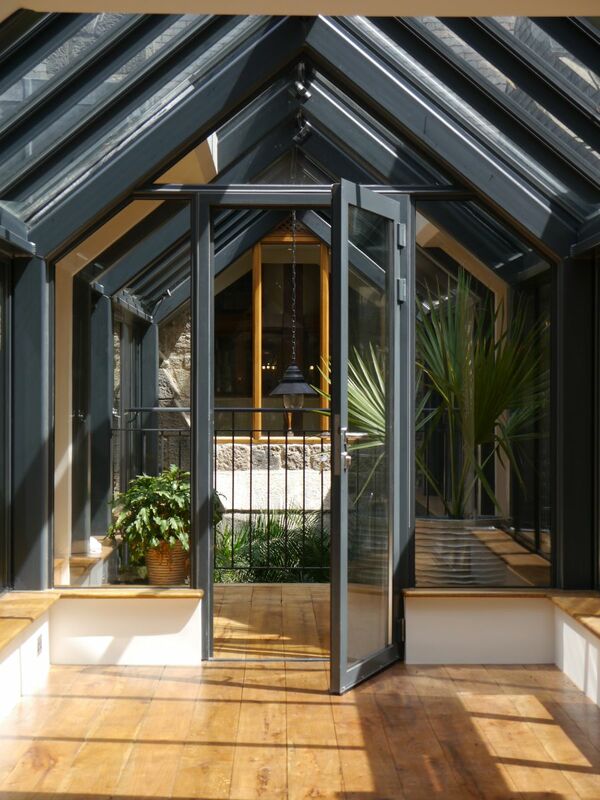 We created a central focus to the plan from what was an unused space by glazing an inner two-storey courtyard to link various spaces both visually and physically. 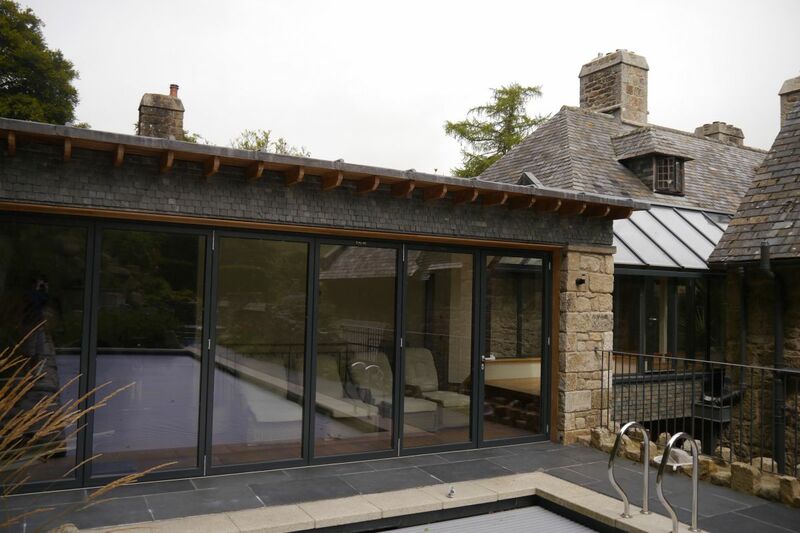 This involved a part demolition of the listed building, but delivered a stunning glazed bridge link from the inner spaces, via the newly glazed inner courtyard to the new build elements that were embedded in the hillside. 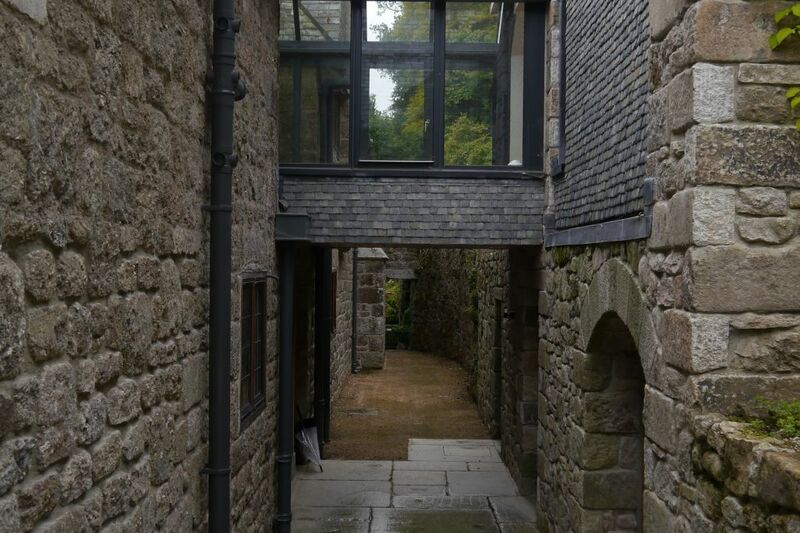 A bridge through the inner courtyard from the master bedroom and guest suite to the new pool house embedded in the side gardens. 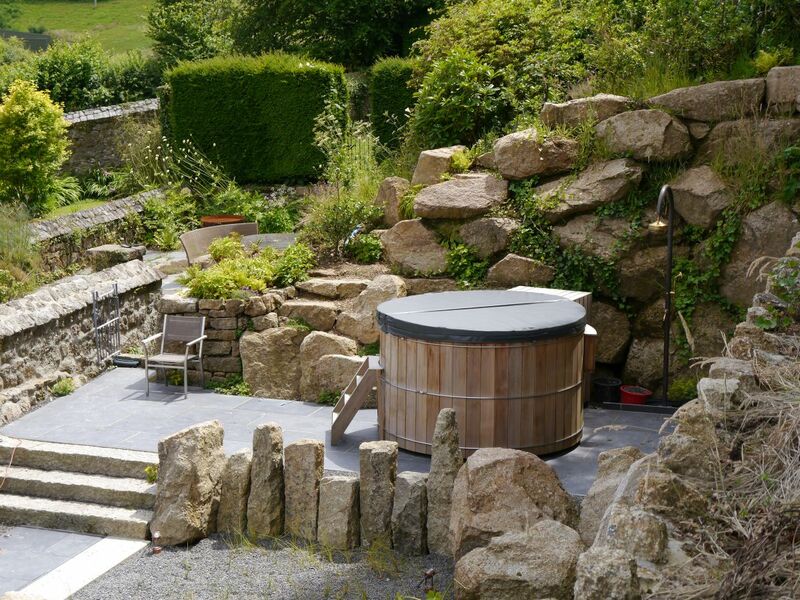 A new pool house buried in the sloping side gardens, delivering a cinema room in the basement and home spa that open ups to the new pool. 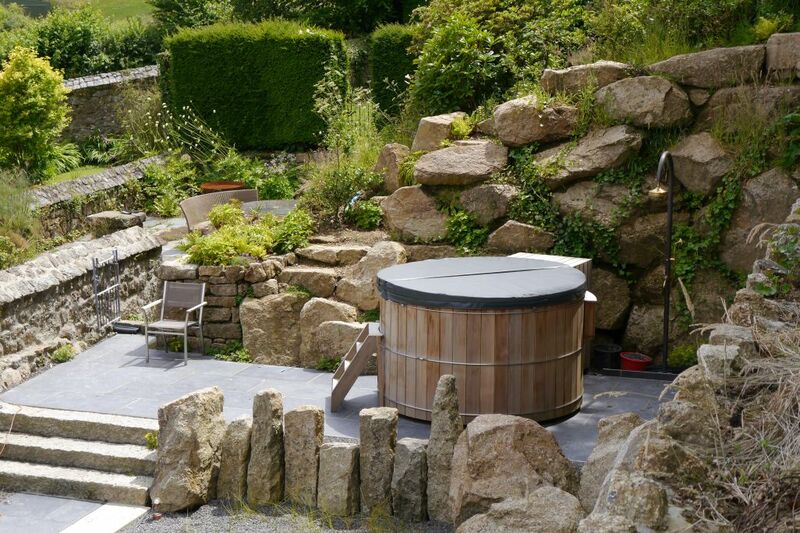 A new reed-filtered heated pool, heated via the electricity generated by the regenerated on-site water wheel on the River Teign, and introduction of top up wood burning boiler. A new oak garden room, giving a well-need sun space to the southern aspect. 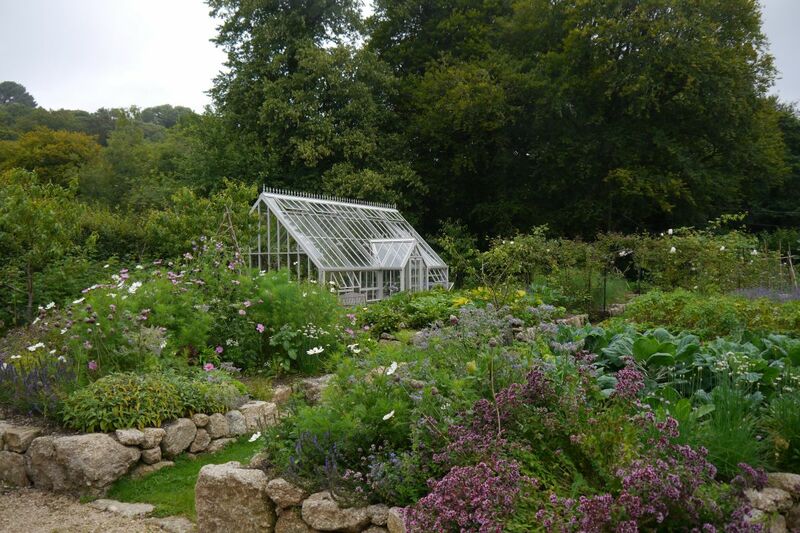 A new kitchen garden with a new bespoke designed ornate greenhouse linking various landscape features together around the site. A new tennis court with ‘invisible fencing’. Extensive landscaping and new entrance gates. 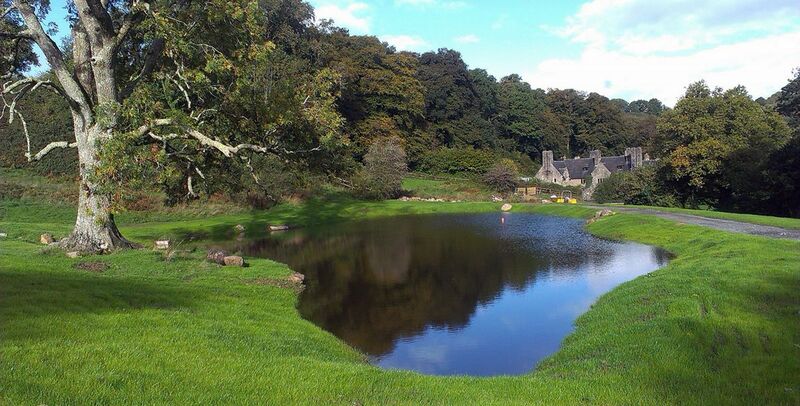 A new lake and landscape walk linking various areas of the estate, woodland, and river.